Facebook Home has come under attack both for not doing enough and for taking over too much of an Android phone. But the folks behind Facebook’s mobile project say that, like many engineering efforts at the company, the goal was to get out a product that did a set of features, and then tweak things from there. Speaking at the recent D: Dive Into Mobile conference, Facebook’s Mike Schroepfer and Cory Ondrejka talked about how Home came to be, and also hinted that the software could soon span areas beyond the home screen and messaging, with photos and dialing among the areas of interest. 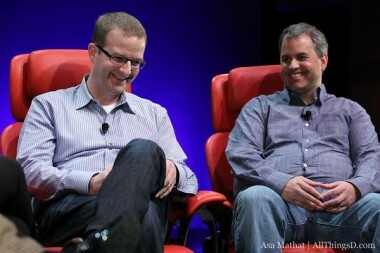 Facebook also used the appearance to announce the arrival of the Chat Heads feature for the iPhone. In the wake of the challenges that Facebook Home has faced, it’s worth taking another look at where Facebook’s top executives say they plan to take the product from here.